We are in serious trouble if the people who are mandated to serve and protect us are the same ones committing crimes with reckless abandon. On that note, our ‘Only in Kenya’ series today shines a light on rogue police officers accused of a number of violent crimes, including kidnapping. On Sunday morning, a police officer based at Central Police Station, Nairobi was arrested for kidnapping and demanding ransom. Constable Kelvin Ndosi is said to have been part of a five-man gang that carjacked and abducted Mr. Philemon Ochieng Okelo on Saturday at around 5 pm at Delta petrol station in Athi River. The gang allegedly forced Mr. Okelo into his car and drove him around Kayole as they made a ransom demand of Sh300,000 from his wife. Okelo’s wife reported the incident at Mama Lucy Administration Police camp, saying her husband was fueling his car at Delta Petrol Station in Athi River when four men, one with a police radio, forced him into his black Subaru (registration KBP 464Z). The suspects who were moving around in a police vehicle were ambushed along the Ruiru Bypass road where they had abandoned Mr Okelo. 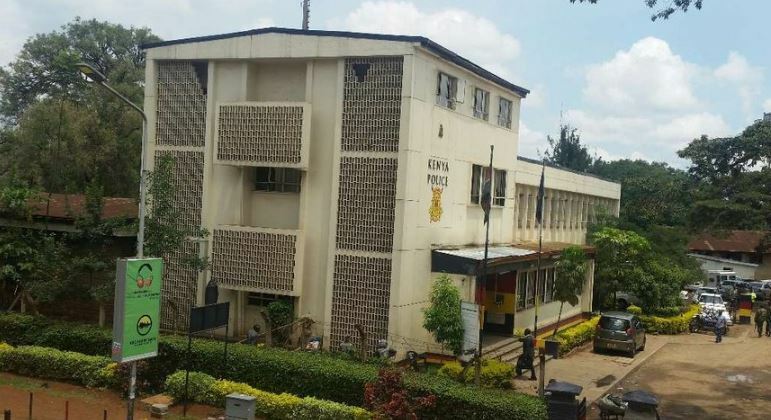 They were cornered by three undercover AP officers – Kyule Kimanzi, Idris Noor and Mercy Arora, who arrested constable Kelvin Ndosi and a civilian Michael Ochieng. Two other police officers, identified as Corporal Kennedy Ojwang, Constable Moses Njogu and two other civilians Richard Ondiek and Ben, however, managed to escape with a police motor vehicle and Mr Okelo’s car keys. “The motor vehicle reg KBU 634U Subaru from police command Nairobi area escaped with corporal Kennedy Ojwang and police constable Moses Njogu who also escaped with the ignition key to the victim’s [car]. Two civilians namely Richard Ondiek and Ben also escaped in the same vehicle,” said police in a statement. Okelo’s vehicle was towed to Ruiru Police Station as investigations continue. The arrested officer, Constable Kelvin Ndosi, made headlines in September after he was arrested for arresting a Mali national at his residence in Kilimani before ransacking his house and robbing him of cash and goods worth Sh5.3million. He was charged with robbery with violence on September 26 alongside his kidnapping accomplice Constable Moses Njogu, and another policeman Mohamed Onjala. They denied the charges before Chief Magistrate Francis Andayi and were released on Sh500,000 bond each with an alternative cash bail of Sh200,000.